Do you remember when Princess Diana died, and the massive upsurge of grief as the nation mourned? Well, scientists in America using electro-magnetic resonance equipment were able to measure that wave of emotion, rather like a seismograph measures the vibrations of an earthquake. That in itself is amazing, but what’s really remarkable is that the wave is measurable before the event! Such waves were also picked up the day O.J. Simpson was acquitted, and inevitably on 9/11 when aircraft were flown into the Twin Towers in New York. With no understanding of quantum physics, suffice it to say our emotions combined to form a massive wave, and a wave is energy. Our speaker on Saturday 23rd March, Di Holliday, suggested that this effectively proves we are all interconnected, and that there is a ‘Field’ out there that contains everything that has ever been thought, said or done. 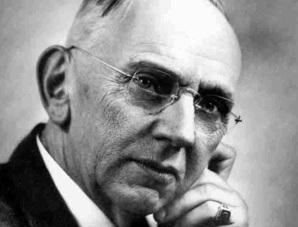 The 'Field' was described by Edgar Cayce, the renowned Victorian medium, as the Akashic records. Similarly, the Bible refers to the Book of Life, which Christians believe contains all the names of those who will go to heaven when they die. When we dowse, it is possible that we are homing in on this 'Field' too, and it is where our answers come from. It is equally possible that this is where our memory comes from too. When we are struggling to remember someone’s name, or what happened last Thursday fortnight, it may be that information isn’t lodged in our brains, but we are accessing it direct from the “Field”. A bit like accessing information not from your own PC, but via the Cloud. All this might well extend to our intuition too. There are people who ‘know’ there is going to be a volcanic eruption or an earthquake, well before they happen. And it is even possible that we influence these events before they take place, with our intent. If our intention and intuition are that powerful, maybe we should be careful what we say and even think. It is kinder to think good and gentle thoughts; maybe it is safer too! Our next meeting will be on Thursday 11th April: Peter Knight on “West Kennet Long Barrow”. Slimbridge Dowsing Group celebrates International Dowsing Day in Slimbridge Village Hall on Saturday 4th May. Come along and have a go. Anyone can dowse!